Brooklyn Photographs brings together the work of 11 photographers who have turned their lens on the Brooklyn experience from the late 1960s to the present. Each of these photographers will present a body of work on a specific theme – childhood in Williamsburg in the 1960s, Halloween in the 1970s, or Bushwick street life in the 1980s, to name a few. 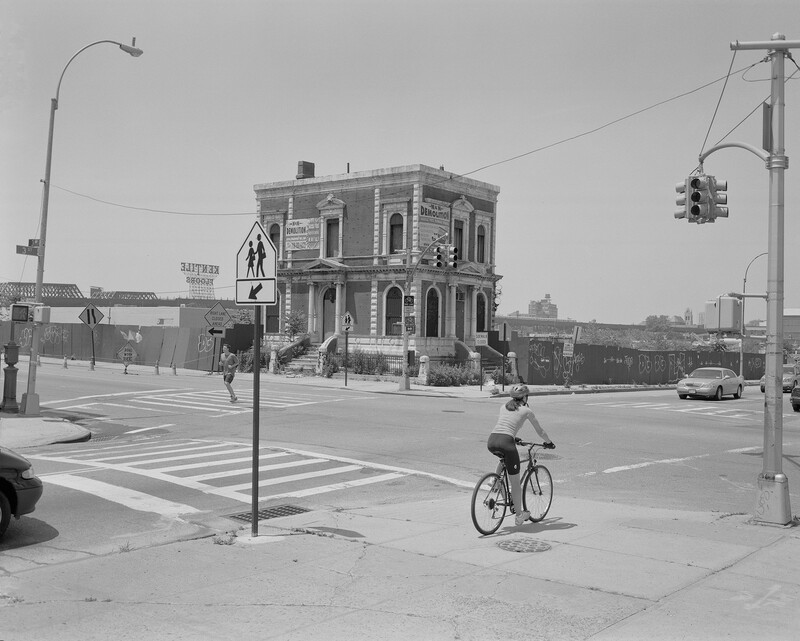 More recent work from the last decade will explore such subjects as the rapidly gentrifying post-industrial landscape, Brooklyn artists, and the microcosm of street life visible near BRIC’s facility at the intersection of Fulton and Flatbush. In sum, the exhibition will illuminate the important role that photography has had in preserving aspects of Brooklyn’s neighborhoods and traditions, and in documenting the extraordinary cultural and social diversity that is a hallmark of the borough. It will also reflect the borough as a site of continual change. Neighborhoods transform and new populations emerge, while the essence of Brooklyn’s humanity remains. The exhibition will be accompanied by a catalogue and by public programs. Photographers include: Yolanda Andrade, Stefanie Apple, Nelson Bakerman, Leigh Davis, Max Kozloff, George Malave, Meryl Meisler, Patrick D. Pagnano, Sergio Purtell, Larry Racioppo, and Russell Frederick. Special thanks to Duggal Visual Solutions, Griffin Editions, and Pranayama Art for their services in relation to this exhibition.